Good cash back opportunities with bonus. If your main purchase categories are gas and groceries, you can earn much cash backs with the card. 0% APR for 15 months. You won't pay for foreign transactions and annual fee of the card. 4% for cash advance fee is reasonable. 3% for balance transfer fee is good. Cash advance APR is high. 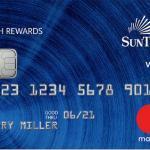 SunTrust Bank Cash Rewards Credit Card has lots of nice features for those who wants to have a cashback card. You are going to earn 5% cash back in your first $6000 worth gas and grocery purchases. Then your gas and grocery purchases is going to be 2% and it is unlimited. For the rest of purchase categories, you are going to earn 1% cashback. There is also no APR for 15 months for balance transfers and purchases. There is not any annual fee for the card and there is not also foreign transaction fees. The downside of the card is high cash advance APR with %26.99. This is a little bit high. 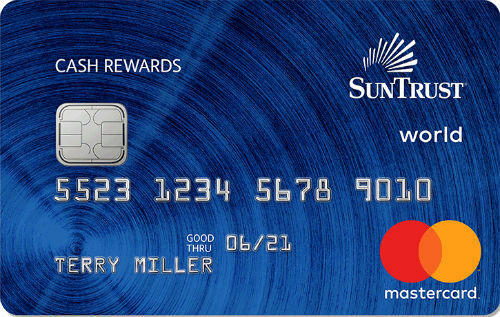 You can see all rates of SunTrust Bank Cash Rewards Credit Card below. You can also read user reviews and editor scores. Regular: 13.24%–23.24% 2x for gas and grocery purchases. 1x for purchases at all other categories. This card providing many good advantages. Especially this is very profitable if you don’t cash advance in first 15 months. The introductory APR for first 15 months is already very good. I recommend you to use this card if you need a gas cash back.